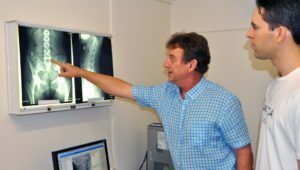 You may not be familiar with the term spinal disc injury, although an injury of this type can often be referred to by other names, such as a pinched nerve or a slipped disc. It can cause low back pain, sciatica and even weakness or numbness if a nerve is being compressed. The spine is primarily made up of a series of blocks called vertebrae interspersed with discs which, along with the spinal joints, give you the movement that you need to move about the day comfortably. The discs are a flat circular capsule-like structure, made up of solid fibrous rings on the outside (annulus fibrosis) with a soft, almost jelly-like centre (nucleus pulposus). These spinal discs act as shock absorbing cushions, similar to those in a car. A normal, healthy disc is very strong. However, it can wear over time due to cumulative strain from repeated bending, twisting, lifting or prolonged sitting. The tough outer fibres can eventually tear allowing the nucleus to move and essentially ‘leak’ out, pushing into the spinal canal causing excruciating pain. This is known as a disc herniation. The phrase ‘slipped disc’ is an interesting one when it is used to describe lower back or neck pain because discs cannot actually slip out. They can certainly wear out, tear or herniate, but they cannot slip! What are the Symptoms of Disc Injuries? Spinal disc pain can be excruciating and even a small movement can cause it to flare up. If any of these symptoms (especially change in bowel or bladder function) develop suddenly, without explanation visit your GP or local hospital. What is The Cause of a Bulging or Herniated Disc? 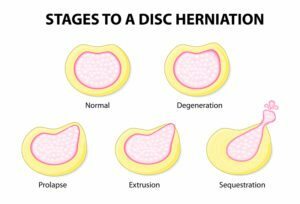 Disc bulging or herniation can occur suddenly due to a single injury or accident, but it is more likely to occur gradually with one final ‘straw’ producing pain and symptoms. Disc injuries can often be linked back to abnormal spinal function which has occurred over many years. Repetitive lifting of large or heavy objects or repetitive movements can cause microtrauma to the disc which over time can develop into disc damage and pain. The good news is that some disc-related problems can be improved by increasing spinal movement and strengthening the surrounding musculature. 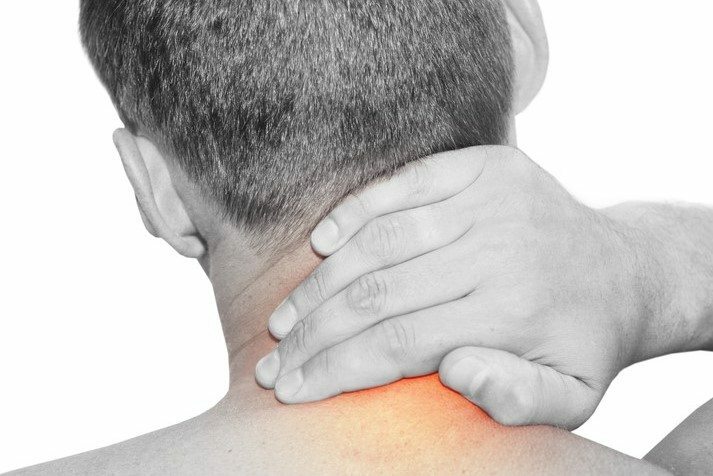 These changes can be achieved by specific chiropractic techniques including spinal adjustments (manipulation), mobilisation, and targeted exercises. 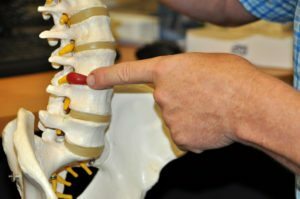 Some doctors, osteopaths, spinal specialists and physiotherapists with post graduate training will use similar techniques to these chiropractic procedures to help their patients as well. It is important to note, however, that a chiropractor or any other health care professional should not start to treat the symptoms of a disc injury without first finding the cause. One recent scientific study showed that 40% of patients without any pain in the spines at all had marked bulging or herniated discs present in their lower spine. In practice it is common to see bulging or herniated disc on a CAT scan or MRI where the patients symptoms, such as sciatica, are actually coming from another problem altogether. An accurate diagnosis of what is causing your pain must be made before any treatment starts. Disc injuries can potentially be very serious, sometimes even requiring the need for surgery, although this is relatively rare. 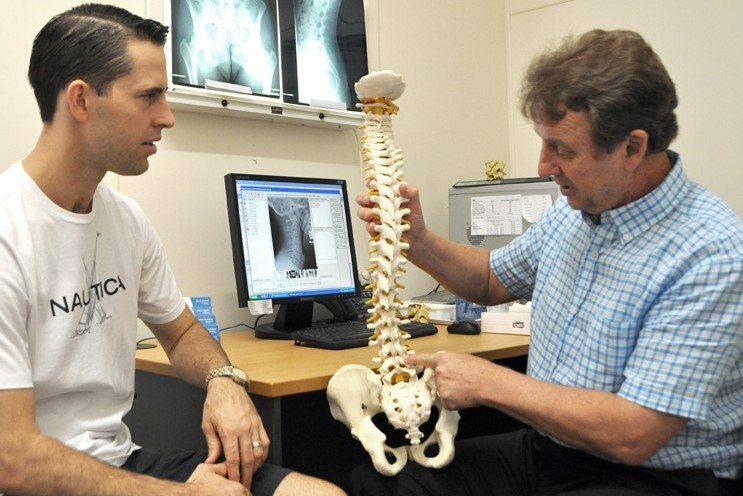 Our qualified chiropractors will perform a thorough examination including functional, neurological and orthopedic testing to establish if you have a disc injury. If indicated an X-ray, a CT scan or an MRI will be performed to accurately assess what damage there is to your discs. It is important to understand that often it is impossible diagnose a bulging or herniated disc by spinal examination alone. Once we have established exactly where your symptoms are coming from, we can then determine the cause, how long it will take to improve the pain and what you can do at home to speed up the process. We will design a specific treatment program aimed at improving your spinal function and reducing your symptoms if this is the best treatment for you. 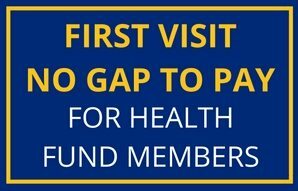 If we believe that chiropractic care will not help you we will refer you to another health care professional for further assessment. We will also address issues such as posture, poor spinal function or weakened spinal muscles. 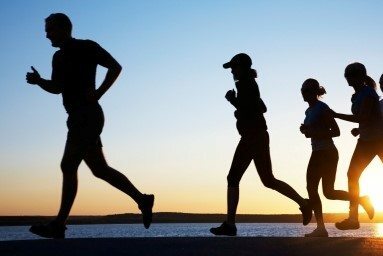 Incorporating a healthy diet and active lifestyle will also ensure a healthy body well into the future. Is your low back or neck pain caused by a herniated disc? 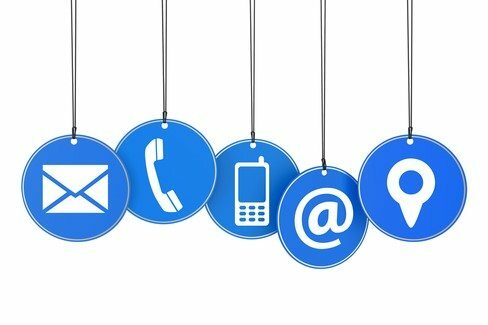 Contact our professional chiropractors today.